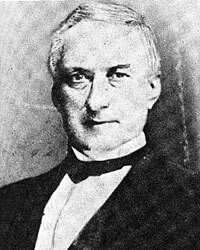 John Todd Stuart was known as “Jerry Sly.” A favorite cousin of Mary Todd Lincoln and as a member of Congress after his election in 1862 over Republican Leonard Swett, he was a frequent visitor at the White House even though he was an anti-emancipation Democrat. When Robert Todd Lincoln arrived in Springfield for his father’s interment in April 1865, he stayed with John Todd Stuart. 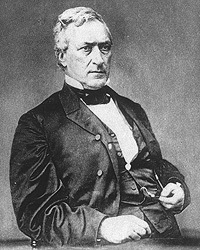 Stuart had run unsuccessfully for Congress in 1836, but defeated Stephen Douglas in 1838 and served until 1842. He practiced law with Benjamin Edwards, who was a brother of Ninian Edwards, Lincoln’s brother-in-law. Later, Stuart and Lincoln diverged politically. Stuart backed Millard Fillmore for President in 1856 and Stephen Douglas in 1858. 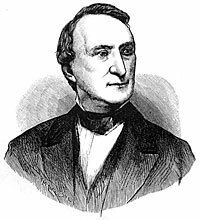 He was the unsuccessful Constitutional Union candidate for Governor of Illinois in 1860. Harry E. Pratt, “The Repudiation of Lincoln’s War Policy in 1862 – Stuart-Swett Congressional Campaign,” Journal of the Illinois State Historical Society, April 1931, p. 11. Harry E. Pratt, editor, Concerning Mr. Pratt, p. 104-5. Katherine Helm, Mary, Wife of Lincoln, p. 228. Don E. and Virginia Fehrenbacher, Recollected Words of Abraham Lincoln, p. 431. Shelby M. Cullom, Michael Burlingame, editor, Walter B. Stevens, A Reporter’s Lincoln, p. 153. Caroline Owsley Brown, “Springfield Society Before the Civil War,” Journal of the Illinois State Historical Society, April-July 1922, p. 490. James A. Rawley, Abraham Lincoln and a Nation Worth Fighting For, p. 10. 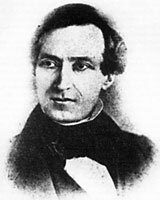 H. Donald Winkler, The Women in Lincoln’s Life, p. 62. Jesse W. Weik, The Real Lincoln: A Portrait, p. 337.